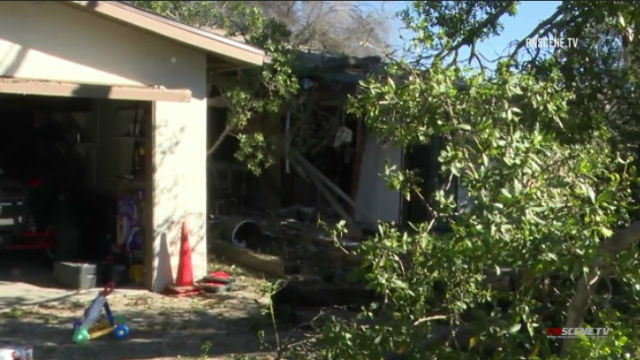 A truck careened off an East County street Monday and smashed into an unoccupied home, winding up wedged in the structure, but no injuries were reported. Photo via OnScene. A truck careened off an East County street Monday and smashed into an unoccupied home, winding up wedged in the structure, but no injuries were reported. The accident in the 9200 block of Padre Lane in Santee was reported shortly after 9 a.m., according to sheriff’s officials. A building inspector and utility crews were called in to assess the damages and check for any public safety hazards resulting from the crash, Lt. Dave Perkins said.